ANZ Fisheries has successfully established itself as one of the most prominent wholesale seafood suppliers in Australia. Sourcing the best seafood available and consistent delivery of premium ocean produce, we provide professional and efficient service whilst meeting the required high standards of the Australian Food Industry. Only the freshest of seafood is offered and compromise on quality is never replaced with the need for price. "Premium Seafood" is our philosophy, brand, and commitment to you. 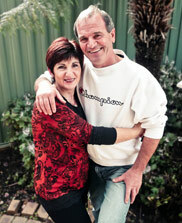 In 1979, Peter and Anna Plafadellis set out to bring high quality seafood from New Zealand. Together they worked tirelessly in these humble beginnings to supply mainly snapper to the people of Melbourne and surrounding areas. 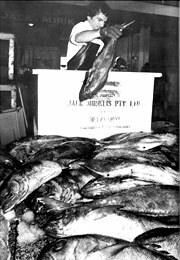 In 1986, they secured a stall in the Melbourne Wholesale Fish Market and the company ANZ Fisheries was formed, quickly forging a reputation for consistent supply of quality produce. Since that time, the company has grown and evolved. Still a family-run operation, we have successfully established strong liaisons with New Zealand’s leading fishers and now import an array of fresh ocean produce from not just New Zealand but throughout Australasia. At ANZ Fisheries we are all about bringing you premium produce every time. We love selling seafood and we do it well. We have challenged ourselves to be the best in the business and we continually strive towards this. For the benefit of our customers, we speed up the import process by clearing the goods from customs and picking them up from the airport ourselves. This is to minimize delays and to ensure the quality of our products is not compromised in any way. It is with our expert staff and strong networks within the importing chain that you can be reassured that we go above and beyond to ensure our products get to market at the desired time, every time. Located at the Melbourne Seafood Centre in Kensington, the heart of the city’s seafood industry, we’re positioned with other wholesalers in our brand new, state of the art facility. This custom-built centre delivers thousands of tonnes of fresh local and international produce to Victorians daily, six days a week. The success ANZ Fisheries has experienced over the years is unquestionably attributable to our impeccable reputation for quality, our unwavering commitment to service and the continuous building upon decades of experience in the seafood industry. Relationships built and maintained in this time means that you benefit from the skill and knowledge of our experienced staff and partners. Our commitment to food safety is an integral part of our business. All of our produce comes under close scrutiny throughout the supply chain process - from handling the fish as it comes out of the ocean, all the way through to our stall. With a reputation in providing consistent high quality seafood, we are seen as one of the most iconic features at the Melbourne Seafood Centre. We believe that we have a responsibility to the environment and through our business operations, we support and adopt sustainable practices. We continue to build partnerships with farmers and fishermen that are committed to your health, the environment and the integrity of our oceans. Hover over the products for more information. Bass is grey-brown in colour and ranges in mass from 3-30kg. Closely associated with Hapuku/Groper, it is shorter and distinctively darker in colour. It has firm flesh, is excellent quality eating and suitable for all cooking methods. Also known as New Zealand Cod, Blue Cod is found exclusively in the shallow waters of New Zealand. Growing up to 60cm in length, they produce good fillets with low oil content, and are very popular in their native country, although managed by strict quotas. One of the most popular species of smoked fish. A very important commercial species, Bluenose has firm yet succulent flesh and good levels of Omega-3. A high quality fish whose popularity is only tempered by strict quota management put in place to ensure its longevity. The most common of New Zealand’s popular flatfish species, Sand Flounder is distinguished by their diamond-shaped body. Caught in shallow, inshore waters by set net or trawl, it has moist, delicate flesh. Yellowbelly Flounder are oval shaped and are plumper than Sand Flounder. It is a very popular restaurant fish, often cooked whole including skin. A very similar looking fish to the Bass Groper, Hapuku differs in its colour: it is dark blue-grey or brown-grey above and white below. Its firm flesh of excellent eating quality make Hapuku a popular choice. Growing up to 50cm and becoming increasingly popular in whole and fillet form, Red Gurnard has firm yet succulent fillets with low oil content. A delicious fish, suitable for most cooking methods. John Dory has an olive-brown to silver body, with a distinctive dark spot (St Peter’s Thumbprint!) in the centre of each side. A premium table fish with firm white flesh, John Dory is another fish that is very popular in restaurants. Also known as Pink Ling, they have pink and brown markings above, and a pale pink to white belly. A long, eel-like fish, they are popular for home and commercial use because their large, boned-out portions of flesh are great for cooking. Caught mainly around New Zealand’s South Island, Monkfish is known in Australia as Stargazer. Popular in Australia thanks to its succulent, pearly white, firm flesh with low oil content. New Zealand’s premium white fillet, Orange Roughy is slow-growing, long lived and is under very strict quota management. A delicate shellfish-like flavour and pearly white fillets high in Omega-3 oil make Orange Roughy a very popular fish. Cultured in the great Southern Ocean, Tasmanian Atlantic Salmon is held in high esteem all over the world. Available in fresh or a range of smoked, Atlantic Salmon is high in protein and rich in Omega 3, and is a favourite in households and restaurants. A brownish-grey shark with a long slender body caught in shallow waters all around New Zealand. Traditionally hugely popular in fish and chip shops, it is also appreciated in other styles of cooking because of its mild sweet-flavoured fillets. Perhaps Australia’s favourite table fish, Snapper, or Pinkies, is certainly the most commonly sold fish at ANZ Fisheries! Our snapper is caught off the North Island of New Zealand. We constantly supply all grades of snapper in many different sizes. Swordfish are a large fish with a long flat bill, resembling a sword. They are an ideal fish for steaks or cutlets, making them very popular in the fish market. Its flesh is high in fat, low in moisture and medium to firm in texture. Blue-black above and silvery-white below, its firm pink to red flesh has a high oil and low moisture content. Highly sought after, sashimi grade especially being in high demand in Japan. We have a passion for Premium Seafood and it is integral to our business that we continue to achieve the highest standards possible to ensure our customers get expertly-handled fresh produce every time. We are committed to professional excellence, delivering on commitments on time and of the highest calibre. We adopt only the best practices in the industry and it is through our stringent processes and systems that you can be assured your business is in good hands all year round. With over three decades entrenched within the seafood industry, our experience and knowledge of the management of fresh fish and the local and international markets is second-to-none. It is our desire to keep our finger on the pulse within the seafood industry therefore we make it our promise to expand and share our knowledge with our customers. We believe we have an obligation and responsibility to our suppliers, our customers and the seafood industry as a whole. Doing what is right for our clients strengthens not only our relationship with them, but empowers both parties with the confidence to move ahead at a higher level. The sum of all of our values helps us build long lasting, valued and trusted relationships. We aim to treat all relationships as true partnerships involving mutual cooperation and responsibility. We aim to instill in the minds of our clients, the understanding that they are in the forefront of our business - we make it our business to understand our client's business! © Copyright 2011, ANZ Fisheries. All rights reserved. Long-line fish are the superior grade fish we supply. The fish is killed instantly using the Japanese Iki jime method, which maintains flesh firmness. A boat will usually deploy its net and then encircle a school of fish, dragging the net behind it and trapping the fish. This method results in very good quality product. This grade of fish appeals to the price-conscious consumer. While caught in the bottom-trawlers, the fish tend to bruise as they brush up against each other in the nets. We, however, can still ensure a good quality product as each fish that we supply is hand-picked. In highly controlled processes, fish are fertilised in tailored hatcheries, before eventually being transferred to marine farms. Farming/ Aquaculture is the fastest growing seafood industry – it leads to high quality, high yield produce and contributes to the industry’s focus on sustainability.